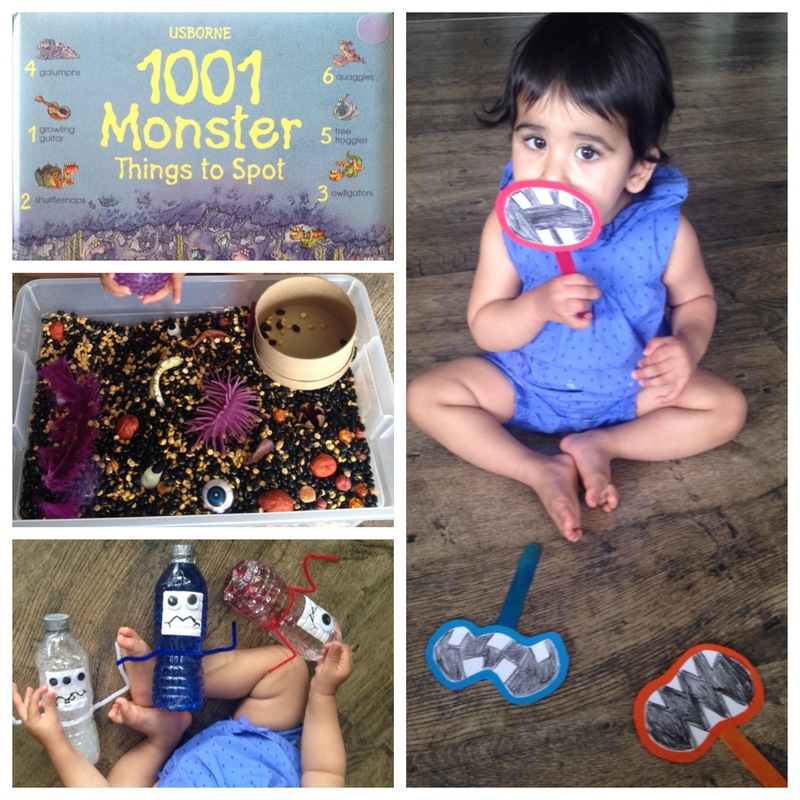 1001 Monster Things to Spot by Usborne Books: 1001 Monster Things to Spot is a wonderful book to enjoy with kids of all ages. Right now, R can enjoy the pictures and growls at the monsters, later, we’ll have fun searching for all the monsters and monster things! R really enjoyed the monsters sensory bin and played in it for over 45 mins. I’ve put it out a number of times since, during independent play time, and she is still very engaged! 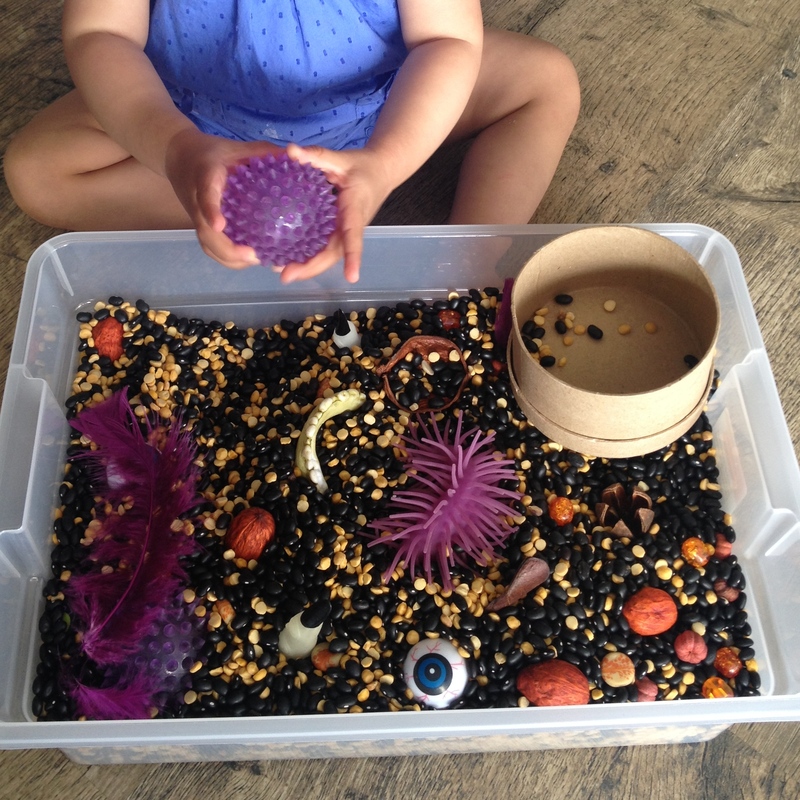 I included a variety of fun purple coloured textures (such as feathers, spiky balls, a rubbery ball, small and large beads and more), some wonderful smelling orange coloured potpourri and a mix of containers (a small round cardboard box and lid, small wooden scoops and fillable monster fingers). The base for the sensory bin is made up of black beans and split chick peas. To add to the monster theme, I included monster parts such as eye balls, teeth, and fingers so that we could practice naming the parts. 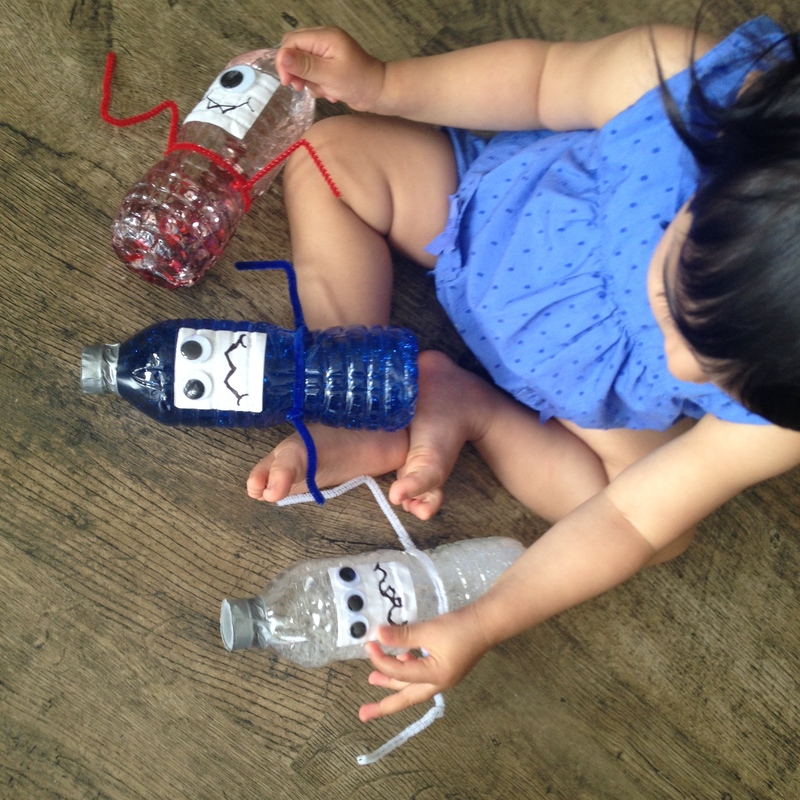 I gave R’s sensory bottles, that I had introduced to her back when she was 12 months old, a monster make-over. The bottles include one with water and hand soap, one with water and glitter and one with water and sequins. R loves shaking them and shying shake shake as she is doing so. I used these sensory bottles during diaper change time when she was younger, in order to keep her entertained and prevent her from flipping over! a. Put alphabet beads inside one of the bins that spell out the child’s name and use it as an “I Spy” game. Have the child record the letters as they locate them. 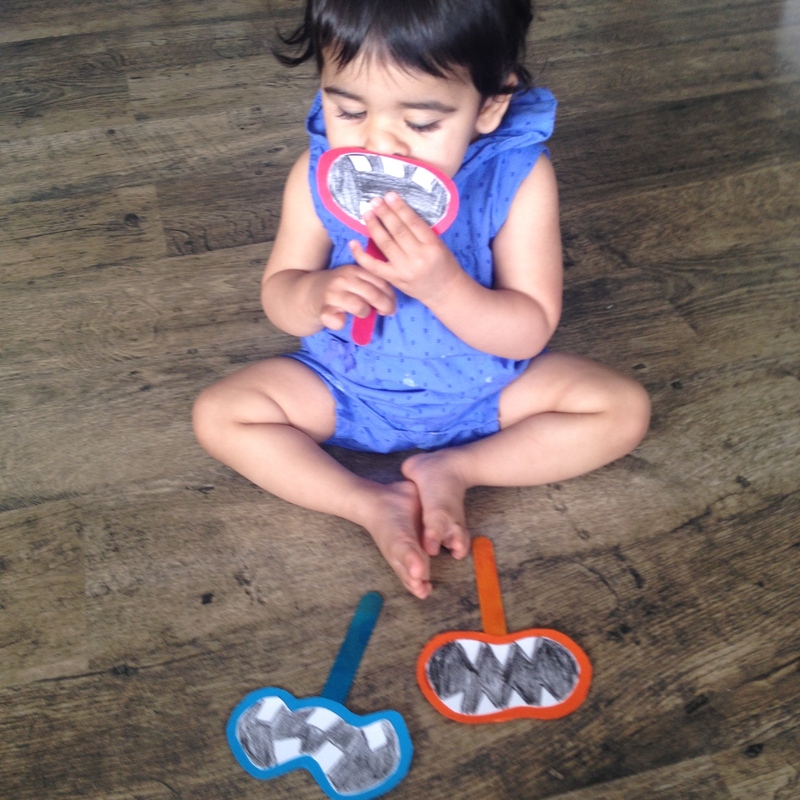 We practiced acting and sounding like monsters while playing with different monster mouths. R’s favourite part was doing evil laughter with the mouths on! We also played the “If You’re a Monster and You Know it” song I had downloaded from the scholastic website and we danced around to it while having our monster mouths on.